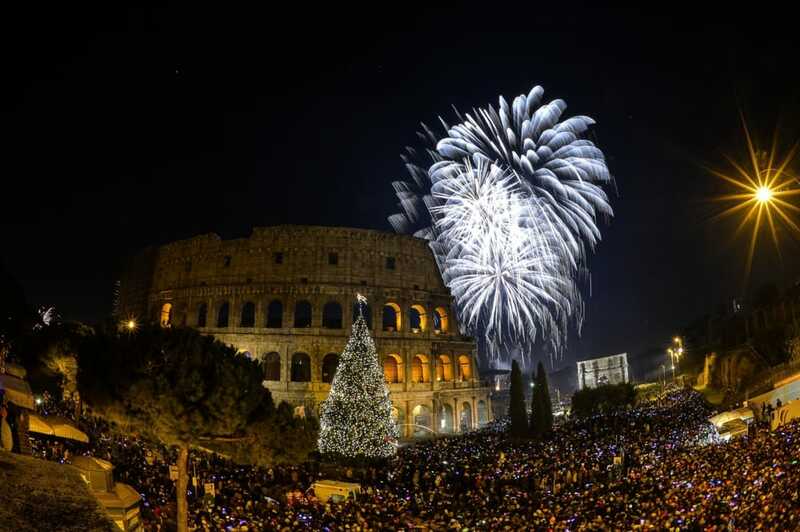 From free concerts and fireworks on the piazzas to theater performances, from historical re-enactments to street parties, you won’t be bored on New Year’s Eve in Italy. Here’s what’s happening in some of Italy’s major cities, with tips and recommendations offered by local experts. "Without a doubt the most traditional way to ring in the New Year is in Piazza Duomo. Every year the city of Milan hosts a free concert in the main square with music, comedians and special guests. If you’d like to listen to music but you’re not into massive crowds, then maybe the New Year’s Eve Gala Verdi concert at Teatro alla Scala or Beethoven at Milan’s Auditorium are better options for you. There is also the classic “cenone”, a massive multicourse meal, which Italians all over the boot will be enjoying. There will be restaurants and hotels all around the city offering meals to meet various tastes and price points. For example, you can celebrate the arrival of 2019 at restaurant Ceresio 7 with their rooftop deck that promises stunning views of the city as fireworks go off all around the city at midnight." Venice is quite a coveted destination for New Year’s Eve, and there is much to do, starting the evening at the typical bacari, small taverns that offer plates of snacks and wine to serve as appetizer. Unless you’ve managed to get an invite for a party in one of Venice’s sumptuous palaces, you could opt for dinner on a boat, while navigating the lagoon until you reach the vicinity of Piazza San Marco, where you can enjoy the classic midnight fireworks display that is one of the highlights of the evening, when people gather for the 'Bacio di Mezzanotte', a collective kiss in the most romantic city in the world, a tradition that started 10 years ago. Ferrara celebrates the end of the year with ‘L’incendio del Castello Estense’, the fire of the Este Castle, the monument that is the symbol of this Emilia-Romagna town. A spectacular fireworks display begins at midnight, right above the castle, accompanied by music. While you wait for midnight, there are several events to keep you entertained, such as the Cenone Rinascimentale or the Gran Cenone in the rooms of the castle, which dates from the Middle Ages. The Ducal Palace, the residence of the Este before the castle was built, also hosts some dinner events, like the Gran Cenone (cenone is the ‘big dinner’ of New Year’s Eve) and a lighter ‘Apericena’. “My friends over at Osteria dell’Enoteca have organized a lovely New Year’s Eve dinner that includes quite the menu of treats, I’m especially drooling over that braised Chianina beef and risotto. Read more about it here. A New Year’s Eve dinner on December 31st, in the ancient Byzantine Tower at the “Saloni delle Feste” (drinks at the table included) at Hotel Brunelleschi otherwise local restaurant Osteria della Enoteca has an exciting set menu (100€) offering a tasty gourmet menu including roasted duck breast with an orange and whiskey sauce. Or head to the Caffe del Verone terrace of Innocenti Museum where live jazz and a feast of fish will be served to lucky revelers to ring in the new year, you can also choose the option of a guided tour of the museum (well worth it) around 18:30. Outdoor concerts (waiting for the official notice to be announced) are mainly centered around Piazza Michelangelo with performances by Baby K and Francesco Renga, moderated by Radio Bruno. A fifties-themed musical concert will also be at Auditorium Flog on December 31st with affordable tickets around 25 euros a pop. 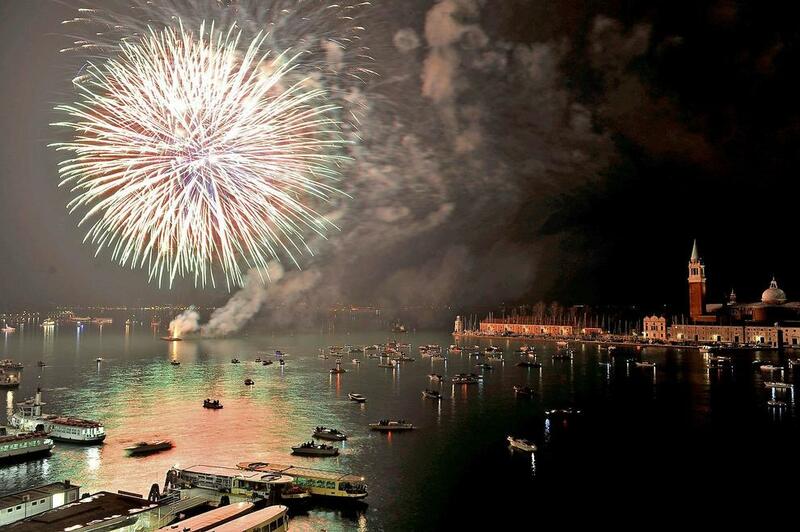 The Eternal City celebrates the arrival of the new year for 24 hours, from 9 pm on the 31st to 9 pm on the 1st. It’s called ‘La Festa di Roma’ and involves the following areas: Piazza dell’Emporio, Giardino degli Aranci, Circo Massimo, Via Petroselli, Lungotevere Aventino, Lungotevere dei Pierleoni and Isola Tiberina. At Circo Massimo, there will be several music performances beginning at 9 pm; at midnight there will be a fireworks display, followed by more music, until 3 am. At 7 am on the 1st, Giardino degli Aranci will host a guitar performance by orchestra 100 Chitarre. At 2 pm, there will be a major street party in the area between Piazza dell’Emporio, Giardino degli Aranci, Circo Massimo Lungotevere Aventino, Lungotevere dei Pierleoni e Isola Tiberina, headlined by Rome Parade, which will see 450 U.S. artists, including marching bands, jazz bands, choirs, dancers and cheerleaders, perform along the streets. The ‘Concertone di Capodanno’ (New Year's Eve big concert) will be held like every year in the beautiful setting of Piazza del Plebiscito, located near the gulf of Naples. Several artists will perform all night long. It is a good spot to see the midnight fireworks over the sea. If you’ve never been to Naples during the holidays, make sure you visit Via San Gregorio Armeno, in the ancient heart of the city, to admire the unique statuettes and decorations of Naples’ famous nativity scenes. Be careful of firecrackers, which cause injuries to people every new year’s eve.